Zipari is a CRM tool designed specifically for healthcare insurance providers. It enables users to extract information, feedback, and insights from customers directly from the app to help them improve their customer management activities. Ready to try Zipari? Request for a demo. As of the date this article was written (10/17/18), there are no user reviews of Zipari online. 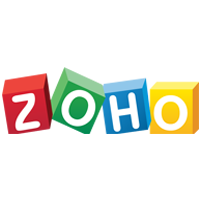 If you are a past or current Zipari customer, leave a review to help other business owners who are deciding whether or not to use the software. Zipari doesn’t publish its pricing plans online. However, services from providers similar to Zipari usually cost around $10 to $20 for apps with basic and straightforward functionalities, while the more extensive ones cost around $50 to $100+ per month. Ready to try out Zipari? Request for a demo. CX Engine: captures and analyzes both interactions and behaviors of customers. It provides personalized recommendations or next best actions based on insights gained throughout the whole customer journey. Self-Service and Customer App Access: lets users conveniently perform self-service transactions in the app from anywhere. Role-based Dashboard Access: provides users with role-based access to customer profiles and automated workflows. It lets front office staff and back office operations have the same customer view to maintain constant visibility across the entire system. What other solutions does Zipari have for healthcare insurance providers? Apart from its CRM solution, Zipari provides a wide range of products to help healthcare insurance providers streamline their workflows and processes. This includes a Member Portal (digital member management), Provider Portal (provider-payer collaboration platform), Employer Portal (employee analytics and management), and Quote-to-Card (direct selling tool). Interested users can contact their sales team for more information. Does Zipari have a mobile solution? Yes. Users can access their Zipari account from their iOS or Android devices. Not sure if Zipari is the right fit for you? 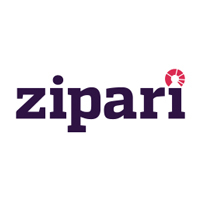 Read our reviews of all top CRM software or check out one of these three Zipari competitors.